Humans are by nature suspicious of anything innovative, especially when it sounds too good to be true. Fear has motivated people to create myths about online casinos; and they’ve spread like wildfires in a dry California forest. These myths usually have no foundation in truth, but they spread faster than a clickbait cat meme on Facebook. With little understanding of the actual dynamics of the gambling industry, myths grow and propagate. When presented with actual facts and verifiable information, we are able to bust these myths wide open. Some people demonize casinos and quickly label them as places designed to scam money out of people. If this claim were true, online casinos would be out of business in a very short time. After enough people were bankrupted by online casinos, nobody would visit them and the casinos would be bankrupt as well. Online casinos provide you with hours of entertainment in exchange for money to pay expenses, earn a profit, and employ hundreds of thousands of people, injecting the economy with more money for everyone. Curiously enough, these claims never come from someone on a lucky streak! Of course it is easy to imagine that the casino is trying to set the software manually to ‘fix’ the odds in their favor. This is where the RNG comes into the picture. A random number generator (RNG) is a sophisticated piece of software designed to produce results which are as random as possible, thus, simulating the actual roll of a pair of dice, or the spinning of a slot machine reel. The easy way to check for this is to examine the online casino website. A reputable casino utilizes RNG software, and bears a certificate of approval by a licensed agency to prove it. Read the fine print on the website. You probably read the ingredients on your food checking for gluten, so it takes about the same amount of time to check a website for an RNG (hint: scroll down to the bottom of the webpage). Some people think that online casino games are not even close to the actual casino games that you play on a brick-and-mortar casino floor. Sure, online casinos exist in cyberspace, but the software games mimic the action of the best classic casino games of all time. Play a game of slots or video poker online and you’ll get the feeling that a live casino had been transported to your computer. You get to play all of the best Las Vegas casino games you know, with the same sounds, and astounding graphics. One part of the myth is true: in an online casino, nobody is pouring free alcohol down your throat to get you to gamble more. And there’s no ‘eye in the sky’ video surveillance watching your every move. So, feel free to kick back on your couch in your bathrobe (White Russian optional) while you play slots online with your smartphone. Just like any other online business, the best online casinos offer a variety of channels through which players can communicate with a well-trained and fully knowledgeable customer service department. This benefits both parties, as it answers your questions, sorts out any issues or claims, and gives the casino added credibility. Some people believe that gambling one time makes you a hopeless addict. These same people probably also believe that Reefer Madness was a true documentary about a bunch of kids who smoked pot once and dove out of windows. Gambling can be addictive, just like drugs and alcohol. But if you’re not responsible with the way you engage in any activity (online and offline), it can become addictive – not just playing in online casinos. Although gambling addiction is a serious disease which should be taken seriously, casinos are not addictive by nature. Some people who play the games just do it to kill time, to polish their mental agility and math skills, or simply for the thrill of playing online casino games. Responsible gambling is highly encouraged by the online casino industry, as it benefits everyone. As with any business, there are fully-legit companies and dodgy ones you should avoid. Most online casinos are there to provide a service for a profit, just like any other business. Since gambling is illegal is most countries, online gambling is available to provide gambling thrills to meet the demand. 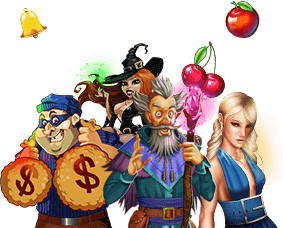 Behind the best online casino games, there’s a fair and established company trying to bring you as close to your favorite games as they possibly can.